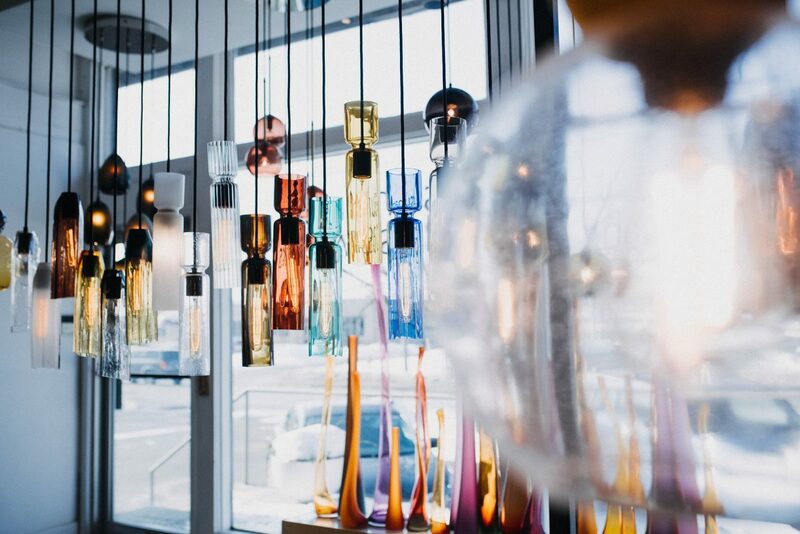 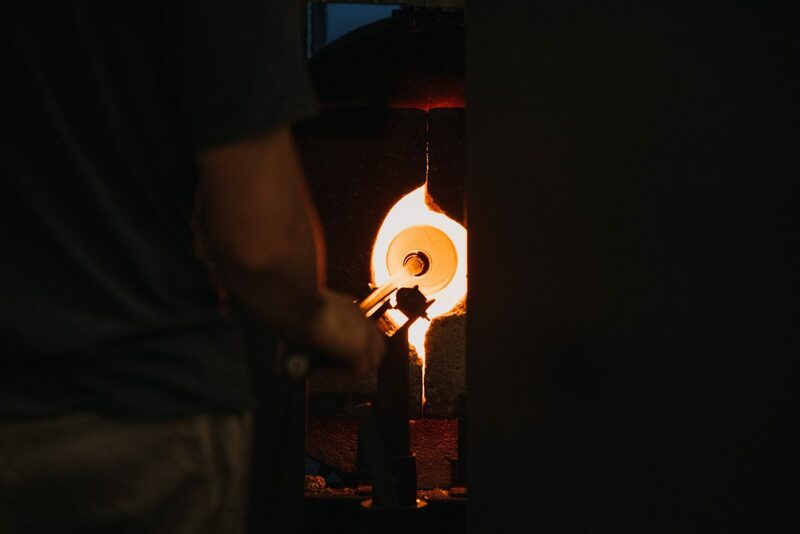 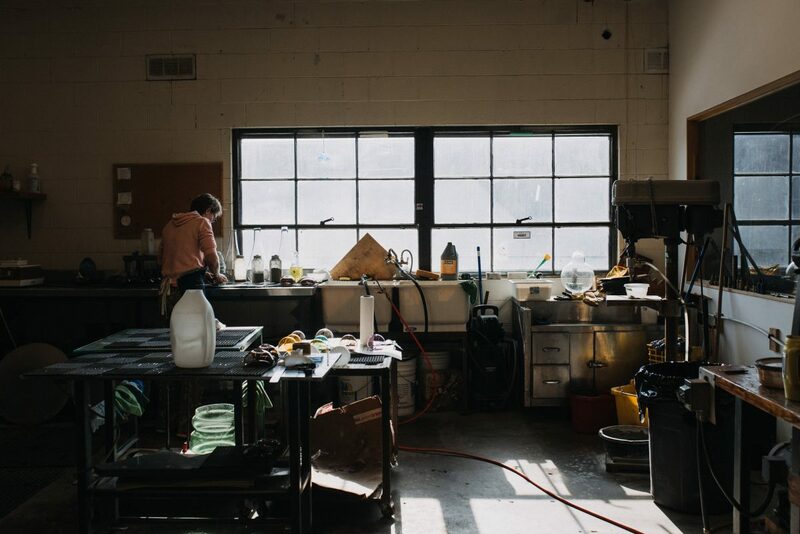 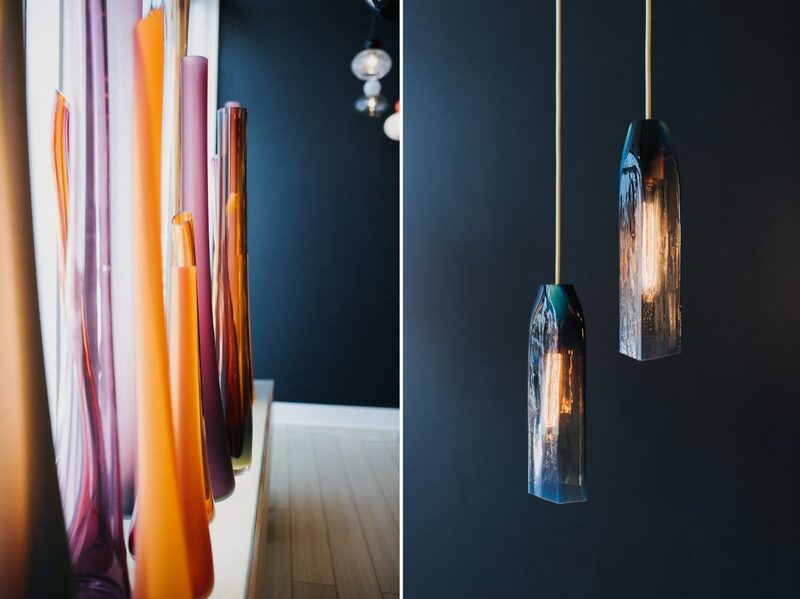 Windsor is home to Canada’s premier glassblowing studio, Tsunami Glassworks. 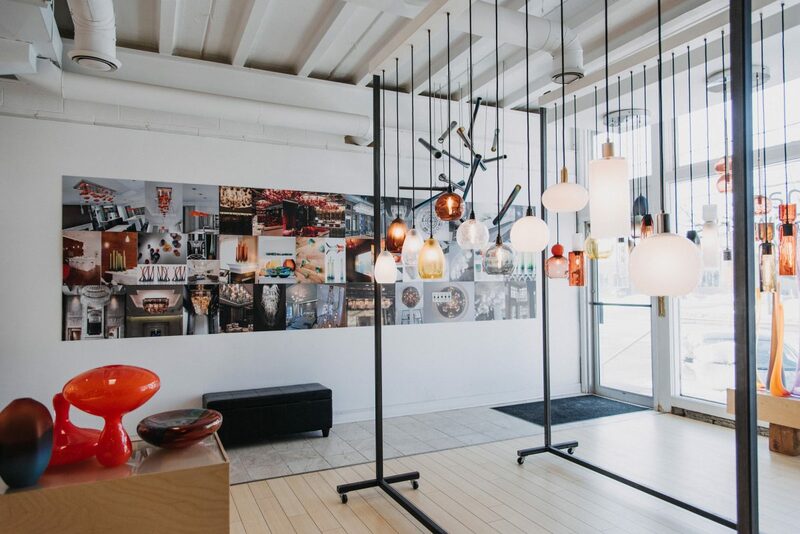 Their building, a former LCBO distribution centre, houses their colourful showroom and full-scale glass manufacturing workshop. 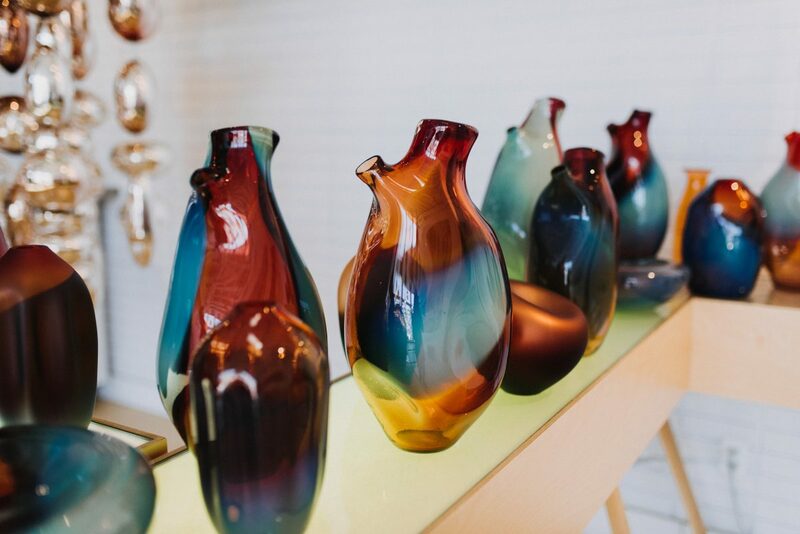 Owners Eva Milinkovic & Kris Gene have been a couple for 17 years and both share a passion for the art of glassblowing. 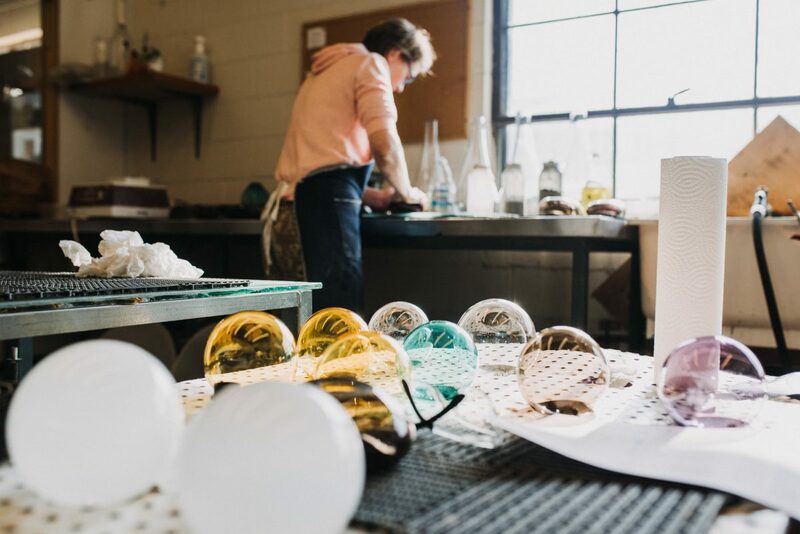 Having chosen Windsor as their home base, they’ve been able to expand to realize their dreams and remain as one of the very few successful glassmiths left operating in North America. 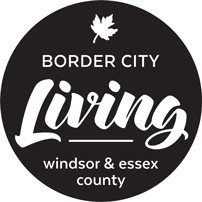 Kris’ family is from the Windsor region, but both he and Eva spent a good amount of time studying and living in different Canadian cities before moving back to take advantage of the affordability of running a manufacturing outfit here – an industry Windsor has always been known for. 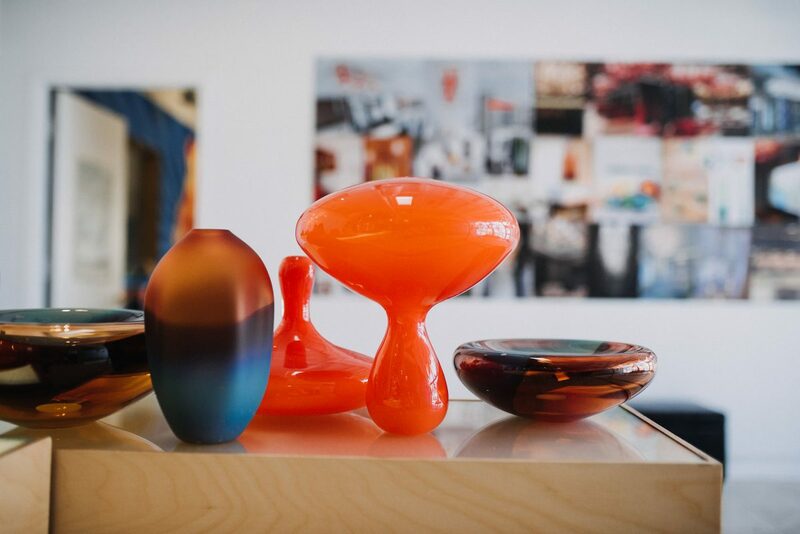 For years, Tsunami mainly exported their pieces as the local demand wasn’t as high. 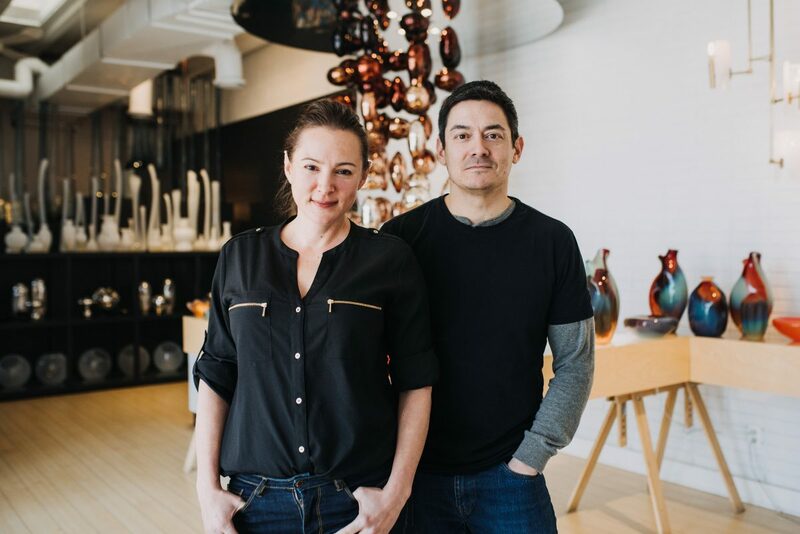 Working with Canadian interior designers like Studio Munge and NYC architects like Bentel and Bentel the’ve been shipping their work to France, Vegas, Dubai, Singapore and even Brazil. 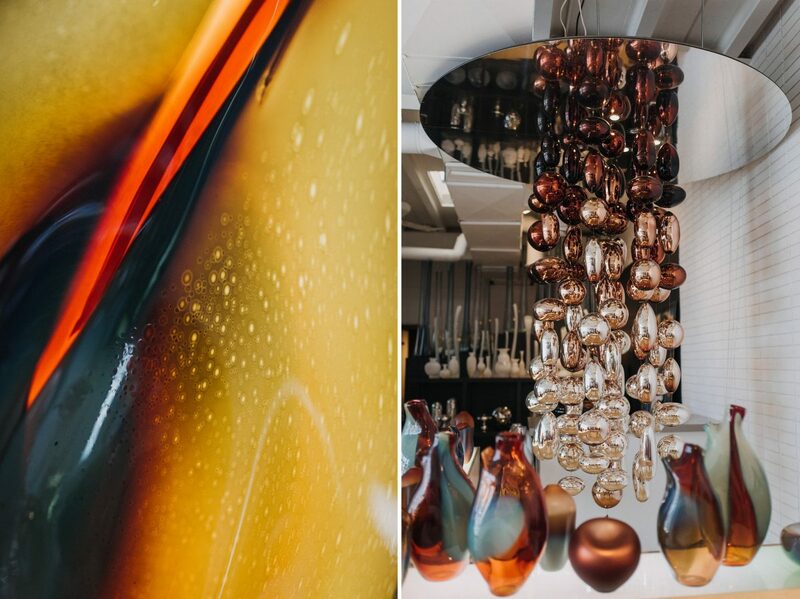 If you’re ever in Las Vegas keep an eye out for the twenty-foot chandelier in the Palms Casino. 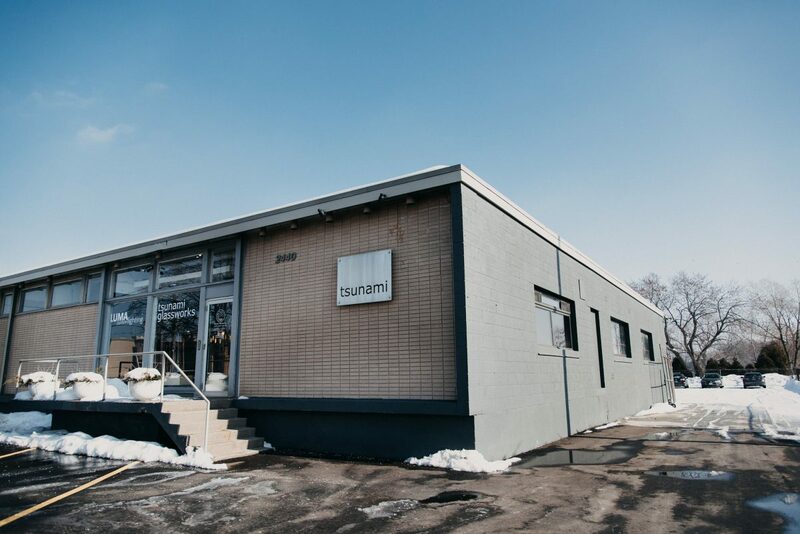 Tsunami are also known for promoting their ‘Made in Canada’ products around Canada and the world. 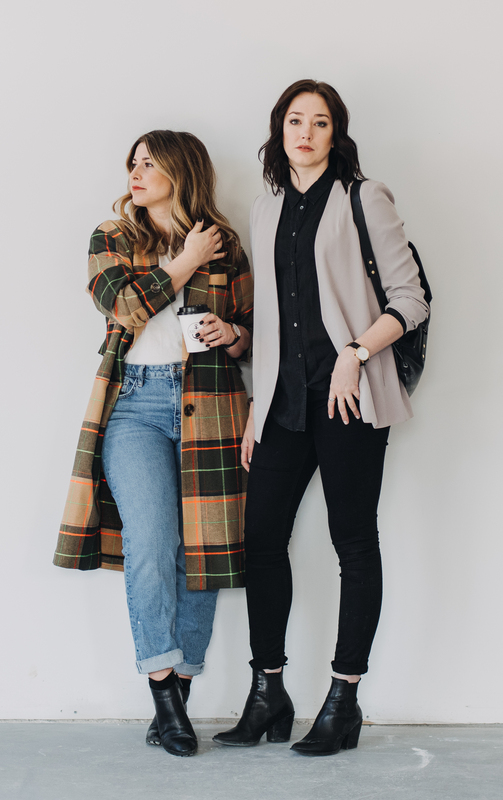 They always knew exporting would be a big part of their business but according to Eva and Kris, the local demand for their work is skyrocketing! 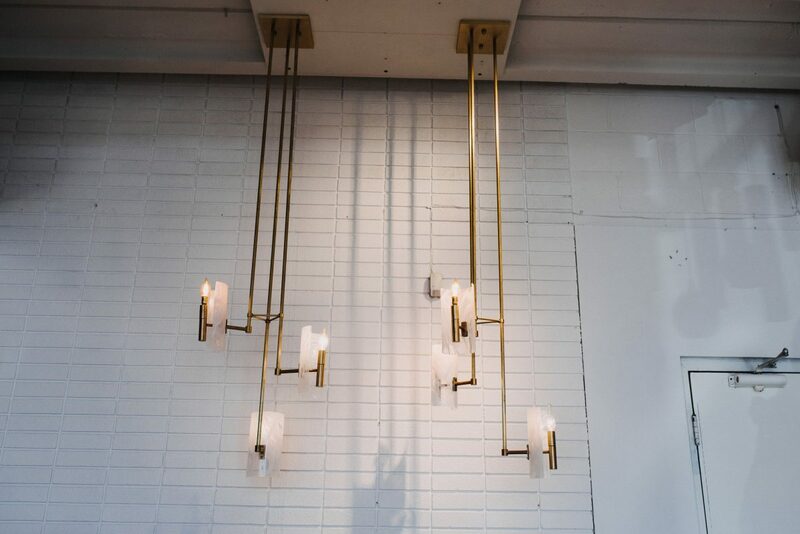 Especially now that locals can drop in Monday to Friday 9-5, to peruse their new product line, Soffi Lighting, with handmade pieces starting at $210. 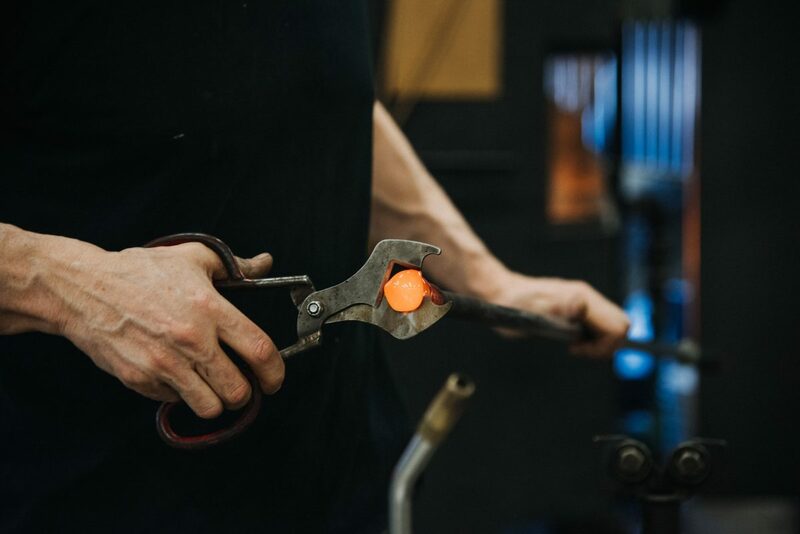 Pop in for a visit during opening hours and don’t forget to and ask for a tour of their workshop.